Another original "Asphalt Cowboy" brand design by Truckers Rock! BIG truck BIG dude BIG shirts! Sizes up to 5XL! Click on the drop down box to select your style. 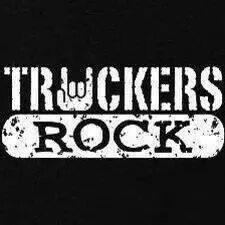 Remember--if you didn't get it from Truckers Rock, you didn't get it! Over 21,000 fans and growing!